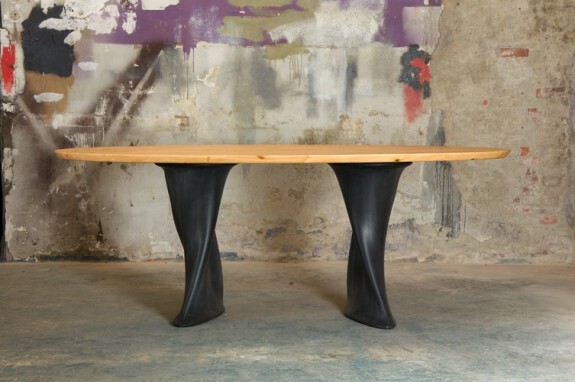 Table Chapli has an oval wooden leaf. 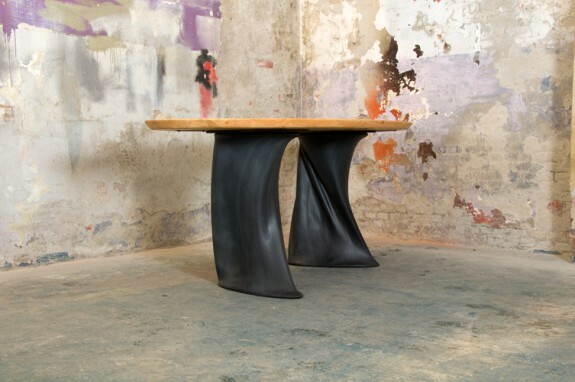 The table has two rubber legs with a frame of steel. 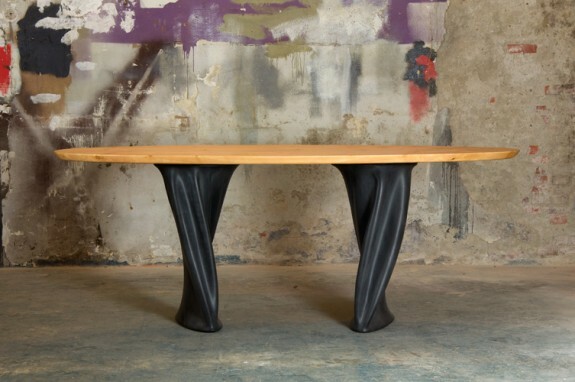 By using the properties of rubber on an inventive way, the legs got a playful and organic form. The table legs are placed in an unusual angle to each other which gives the table from each different point of view an almost completely different appearance. 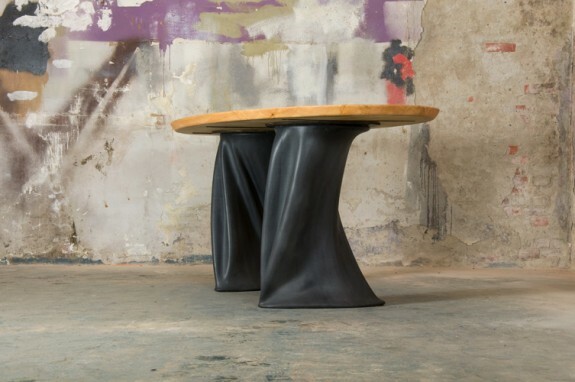 Rubber stool ‘Tuby‘ (model 50 cm) is suitable for this table. Can be delivered in other dimensions. The table legs are removable. Smaller models can be delivered with a round leaf and one leg.